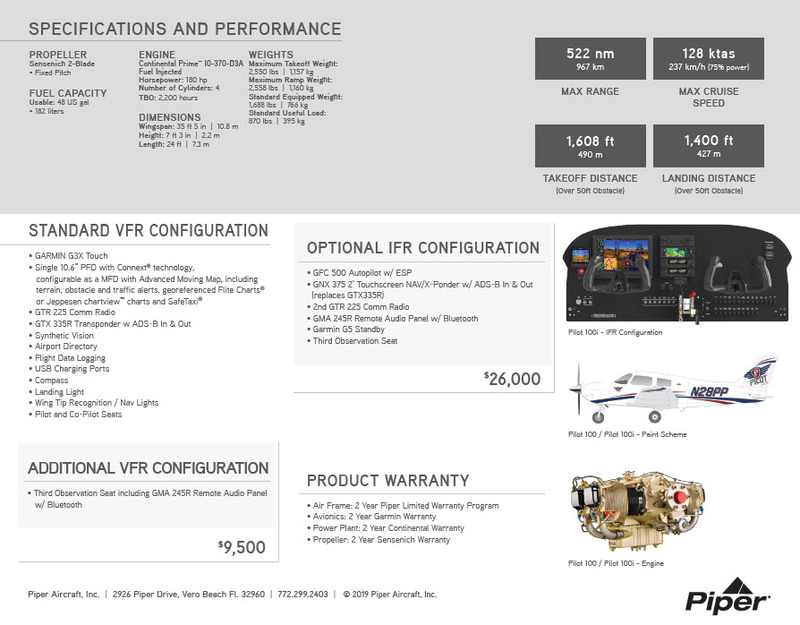 Piper Aircraft announced two new value-priced additions to its trainer-class line, the Piper Pilot 100 and Pilot 100i. These new products enter the trainer segment at a competitive price point of $259,000 VFR equipped and offer the same rugged durability and functionality as its stablemate, the Archer TX. The need for a new trainer aircraft at a price point that could support the growing demand for professionally trained pilots was identified following extensive research and the rapid expansion of trainer sales. 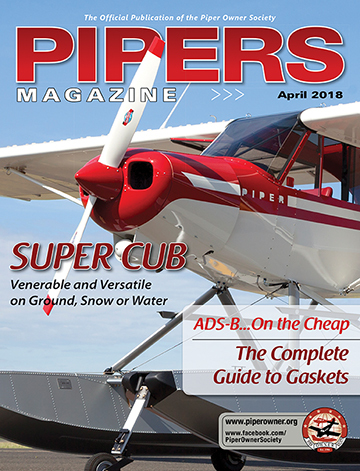 To achieve optimal acquisition and operating costs and economics, Piper focused on proactive planning and collaboration with several key vendors. As a result, the Pilot 100 series features several new components like the Continental Prime IO-370-D3A engine, as well as Garmin G3X Touch Certified avionics in a standard two-pilot interior configuration. The Pilot 100″i” adds an IFR capable upgrade package that includes the, Garmin G3X Touch, GFC500 autopilot, the new GNX 375 and is priced at $285,000 dollars. Both aircraft will be available in limited quantities beginning in 2020. The Piper Pilot 100/100i provides flight schools with professional training aircraft that offer a value proposition which translates into lower operating costs that can result in lower priced initial training courses. Standard instrumentation includes the Garmin G3X system, which offers all the advantages of a glass cockpit without the costs. The Pilot 100/100i is powered by the 180hp Continental Prime IO-370-D3A which offers 128 ktas / 237 km/h max cruise speed and 522 nm range with 45 minute reserve. The Pilot 100’s interior is simple, yet functional and was specially crafted to withstand the of rigors flight training. Click on the picture below for the PDF from Piper.